Did you know, Barry Sheene was one of the first bikers to wear a back protector? He fashioned his own from old motorcycle visors, joined together like the shell of a woodlouse. Back protectors have come a long way since Barry’s day but the principle is still the same – your back is incredibly vulnerable – 13% of motorcycle accidents involve an injury to the back. A damaged spine can cause anything from a loss of sensation in parts of your body to disability, death or total paralysis. It’s not surprising that back protectors are growing in popularity as awareness and protection improves. Many jackets come with a built-in back protector and in some cases, they can be ‘CE certified’ but they don’t offer anywhere near the same levels of protection as a dedicated motorcycle-approved back protector. If you do have some form of protection built into your biking jacket, why not take a look at it – you’d be surprised how flimsy it is and the chances are it’s not approved for motorcycle use. 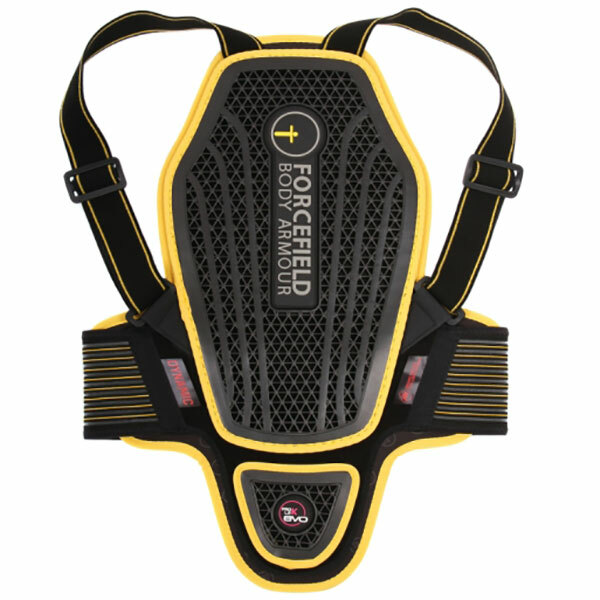 Forcefield specialises in body armour. The L2K is breathable, lightweight. Unlike honeycomb back protectors, it can be used more than once, meaning it should take whatever is thrown at it. British company Knox have been making armour since 1981. The Micro-Lock Air reaches the highest CE standard but is also lightweight and uses a mesh construction to ensure maximum airflow. The chances are that your biking jacket comes with armour that’s CE approved. But if you remove this insert, you’ll see that it’s relatively small and feels quite flimsy compared to a proper strap-on back protector. Even if the protection in your biking gear is marked with the CE logo, they might only be good for skateboarding or cycling. Dig deeper and you may find it hasn’t been assessed to the appropriate standard – the armour in your bargain motorcycle jacket might also be the same armour used in some American Football jerseys.. While you may want to upgrade your back protection, you might not be a fan of a larger strap-on type back protector, in which case you can upgrade your insert protection with aftermarket insert-type protectors. Or if you really want to tick the protection box, you could upgrade the insert in your jacket AND buy an external back protector too. The ideal back protector is the one that has the largest surface area, that you wear every ride. There’s no point having a massive back protector that isn’t comfortable, doesn’t fit and therefore you hardly every wear it. So make sure you try on different shapes and sizes to find the one that works best for you. Shoulder strap: It needs to be adjustable in order for you to get a good secure fit. Waist belt: Almost all are made from Velcro. Wider belts are often more comfortable. It needs to be suitably strong to have the strength to remain in place during a spill. 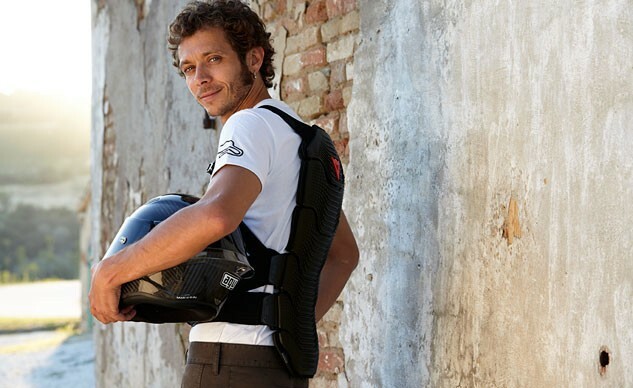 Breathability: Back protectors that aren’t vented get hotter, faster. A sweaty back protector isn’t a pleasant experience. 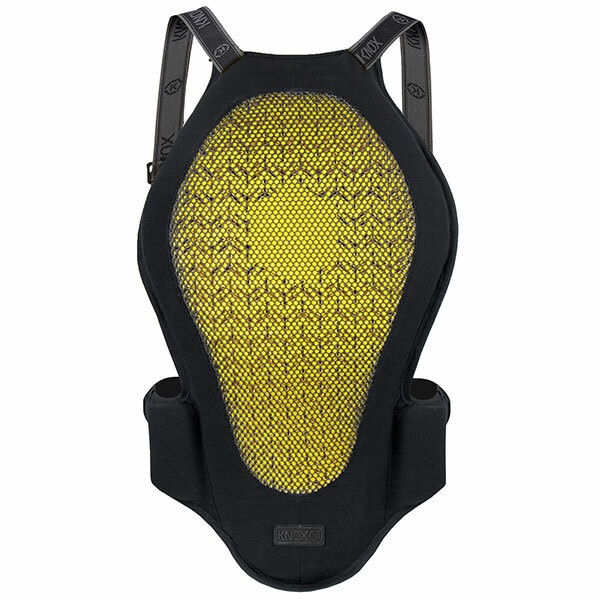 Some back protectors have a mesh surface that sits in contact with your back and provides additional airflow. Foam versus plastic: Some back protectors are made from a dense foam-type material while others use a honeycomb plastic with a plastic outer shell. What you go for depends on personal preference. Most of the foam types will mould to the shape of your back and jacket as they get warmer and after a bit of bedding in. Some of the honeycomb back protectors are designed to crumple in an impact meaning they may not be re-usable after a spill. Kidney padding: The CE tests focus on a set area. Some back protectors offer additional padding that covers your kidneys and helps the back protector feel more snug. There are two levels of protection Level 1 and Level 2. In short, a Level 2 protector offers more protection than a Level 1 but both are a huge upgrade on not wearing a back protector at all. The CE European safety standard for back protection is EN1621-2-2014. This is broken down into two levels. Level 1 back protectors need to transmit less than 18kN of force from a 50 Joule impact. Level 2 protectors need to transmit less than 9kN. But what do all these kilonewtons mean? Medical types reckon that any impact to your back over 4kN can potentially result in a serious injury. Of course, no-one’s going to stop at Level 2. Level 3 motorcycle back protectors are coming but it’s worth mentioning that some Level 2 back protectors far exceed the Level 2 standard. The Level 3 standard is used in horse-rider protection. This standard only allows the maximum of 4kN of force. 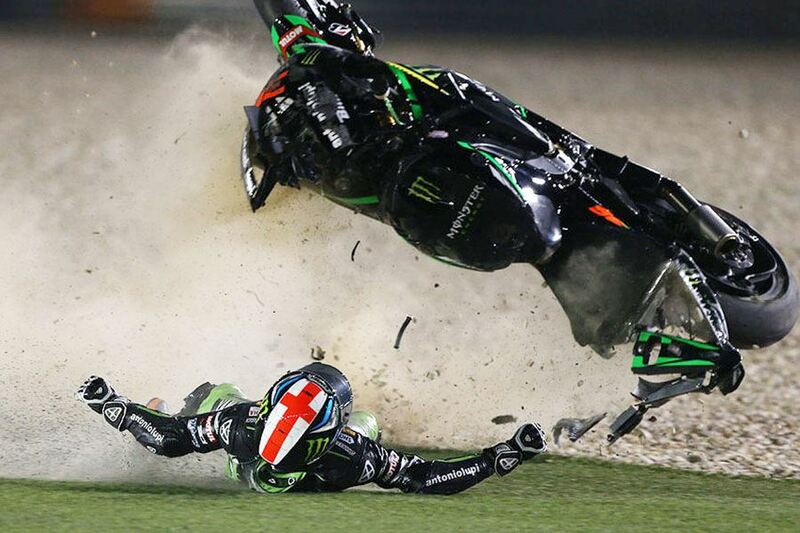 You can bet professionals like MotoGP rider Bradley Smith wear a back protector. Not everyone has £100 to spend on a back protector but should you buy a cheap one? Amazon is packed with lots of listings like this cheap back protector claiming to be CE approved or Level 1 certified but there’s no clear information on the listing telling you the proper standard to which it has been tested. Infact one potential customer asked the seller on Amazon to which level it was tested and the answer was “Level 1” but Level 1 what? Of course, you’d expect any back protector to be better than none but is it worth spending £25 on something with questionable protective qualities? If you are on a tight budget, far better to go for a quality insert-type back protector like this Revit Seesoft Level 2 back protector, which you know will offer you the protection you need should you need it. When trying on a back protector, take your regular biking jacket and sit on a bike with the back protector on. Assume all sorts of natural riding positions and see how it feels. It’ll feel very different when standing to when crouched in a prone position but it shouldn’t ride up your neck or limit your movement. Articulated back protectors (the ones using separate plates) normally cost more but are more flexible. Don’t buy a second-hand back protector. It’s an important bit of kit, you want to be 100% sure it’ll do the job you want it to. Back protectors will bed in with use, so don’t worry if it feels like you've got an ironing board wedged down your back. It'll soften up and you’ll get used to it in no time. There are lots of great back protectors on the market. If the Forcefield and Knox above don’t float your boat, then why not take a look at these? As explained above, it’s a test that ensures the back protector meets a given standard. Not all CE approved armour that comes in your jacket is tested for motorcycles, so check that any back protector you buy has been tested to the correct standard. 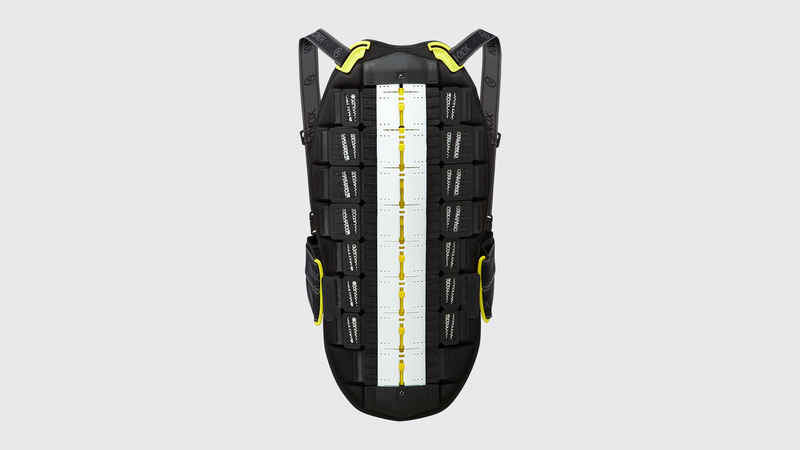 Can I re-use my back protector after a crash? This completely depends on the make and model. Check with your back protector’s manufacturer. Do they make back protectors that can be stored in a bag? KNOX used to make a back protector called a Stowway and a Kompakt but they have since been discontinued. They roll up and can be stored in a carry case (which can double as a pillow if you’re camping!). Should I buy a second-hand back protector? We wouldn’t advise it, unless you can prove it’s never been in an impact but even so, is it worth taking the risk to save a few quid?